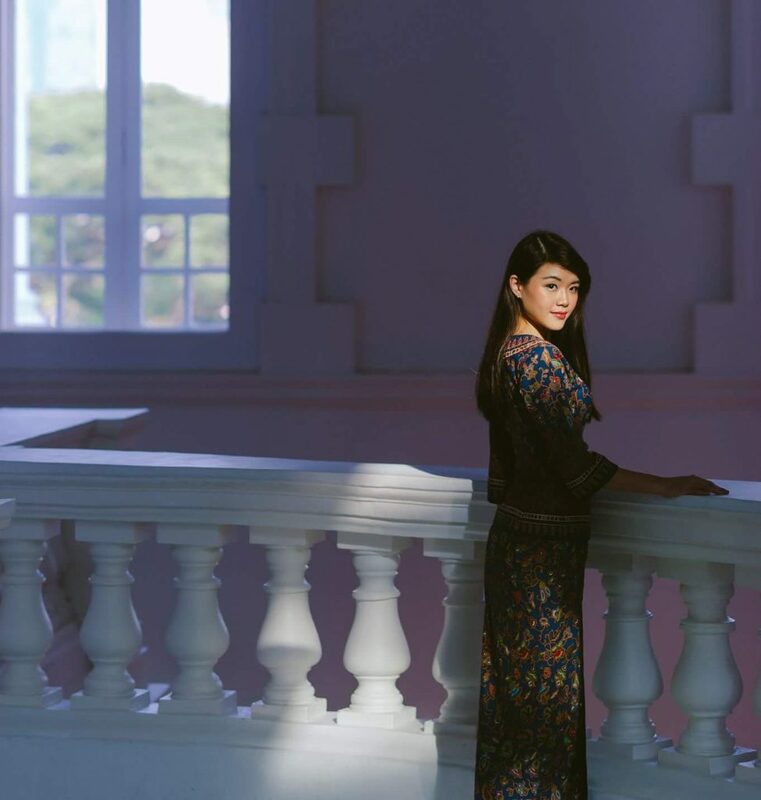 The Singapore Girl is highly esteemed; a figure synonymous with poise and dignity, and always recognisable by her iconically graceful sarong kebaya. Flying as a stewardess for Singapore Airlines (SIA) had always been a dream for Wendy Quek since she was a little girl. She gave it a shot when she was 21 and studying at Singapore Institute of Management (SIM), but was turned down at the interview since she still had many months to go with dental braces on at the time. A couple of years later, she saw an ad for the airline’s recruitment drive and took another leap at it. This time, Wendy finally scored her dream job at 24. However, after just 2 years of flying, she decided to end her journey with SIA prematurely, to stay in Singapore and help manage her family’s bakery business. Wendy’s parents, Sunny Quek and Quek Siu Hui, hadn’t always been proprietors of their own bakery business. Sunny used to be a corporate manager at Rediffusion, one of the oldest radio broadcasting companies in Singapore, while Siu Hui had been a stay-home mum. Later on, Sunny set his sails for a different course by taking up a position as an area manager at a Japanese F&B establishment. 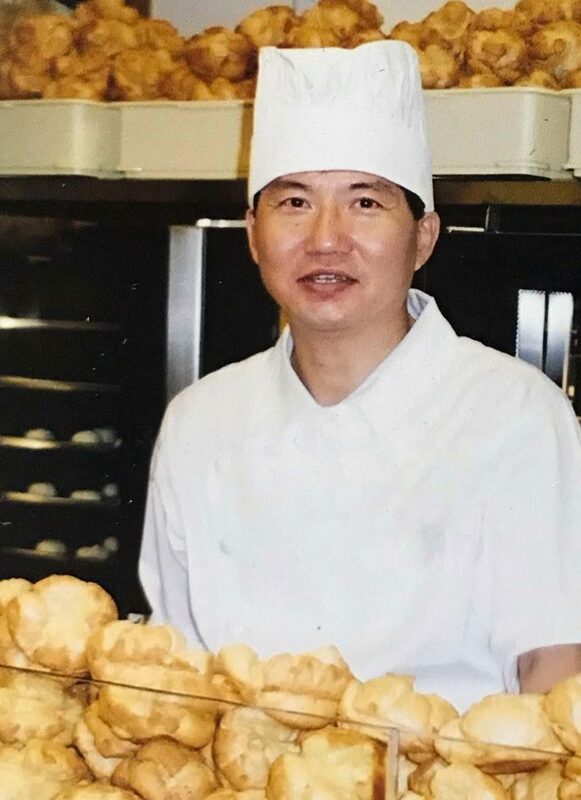 As the job required him to pick up some culinary skills, he even got the opportunity to be trained in making choux pastry by masters in Japan and Hong Kong. Siu Hui, on the other hand, was often experimenting with baking at home, especially since Wendy always craved for durian puffs and pancakes. 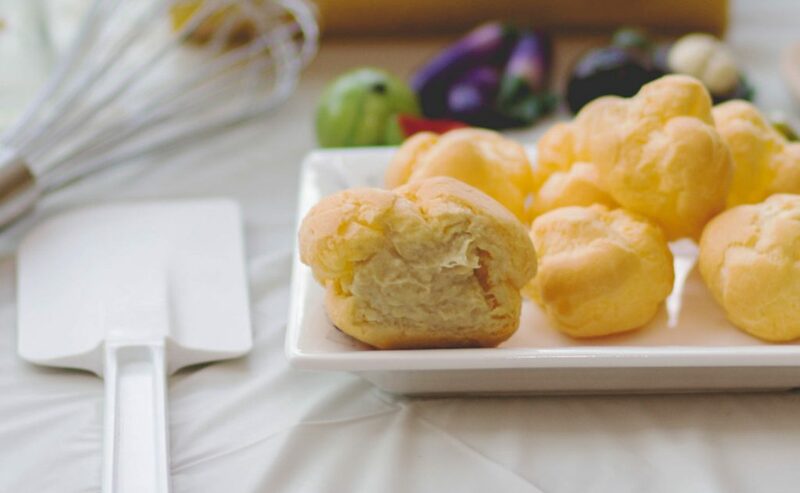 Trying various recipes and using different durian purees, she succeeded in replicating the delectable taste of the puffs and pancakes that were sold in markets. 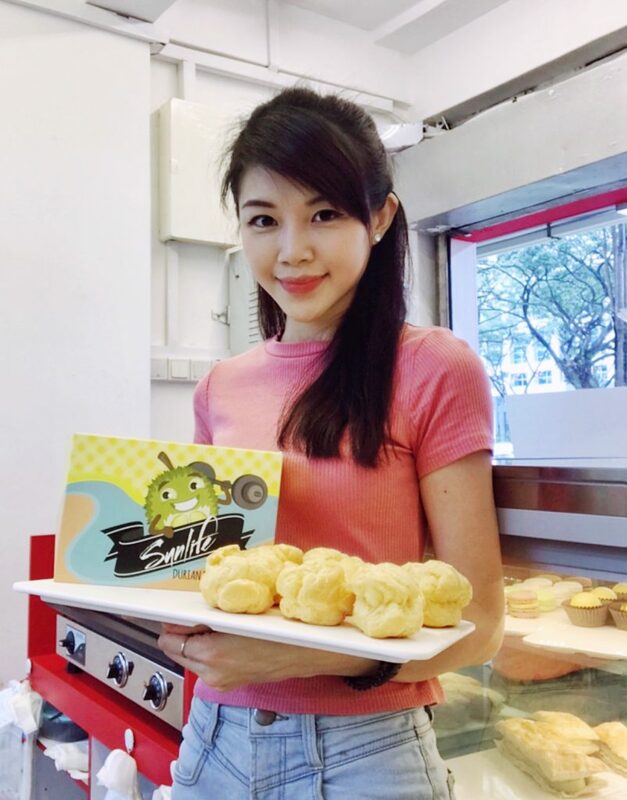 As fate would have it, the couple chanced upon a vacant unit for lease at Causeway Point, and decided to start their own little establishment, Sunlife Durian Puffs and Pastries, in 2009. 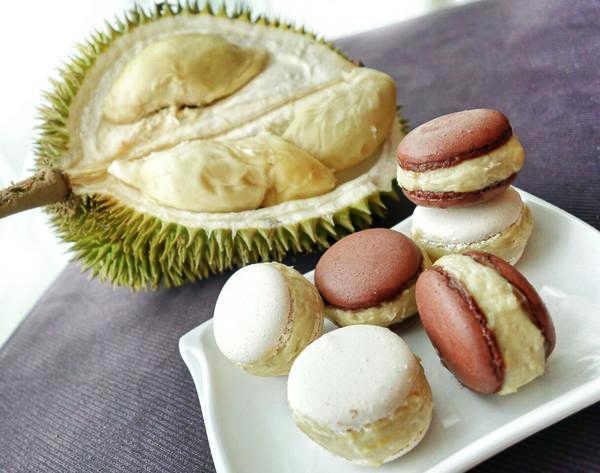 They began with just three items—durian puffs, cream puffs, and durian pancakes—but the simple mom-and-pop shop gained a reputation among customers in the neighbourhood, some even comparing the pastries to those of famous hotels. Despite hearing regulars rave about Sunlife’s “legendary 100% pure D24 durian puffs”, Wendy noticed that the business was limited to reaching the heartland area. “I thought it would be such a waste if I were to leave things the way they were, so I took it upon myself as a daughter to modernise [the family business] and ramp things up a little,” she says. Additionally, she felt she couldn’t be a stewardess permanently as flying across time zones and constantly experiencing extreme weather changes took a toll on her body. “If I could, I would love to fly a couple more years as I enjoyed the lifestyle,” she says. [But I felt] that I’d eventually have to settle down, and it would be better to leave the airline earlier to avoid becoming ‘redundant’ in society. So in April 2017, she came back down to land for good. Now, the 27-year-old has taken on the management of Sunlife’s business development and event sales. Prior to becoming a flight attendant, Wendy worked at a public relations agency, and was well versed in utilising social media tools. 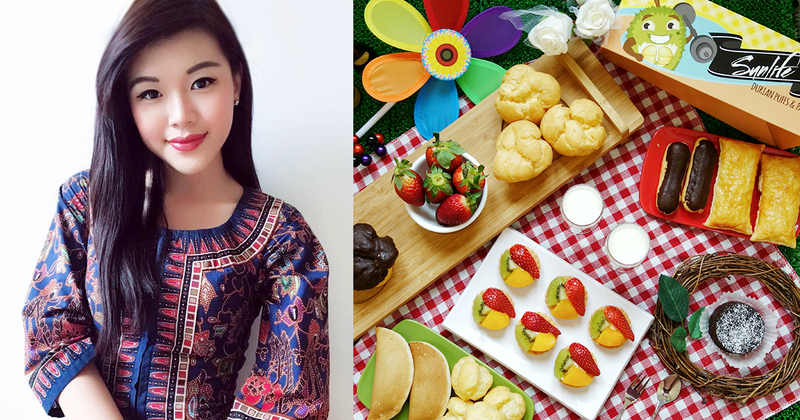 She created profiles for Sunlife on Facebook and Instagram, and set up an e-commerce website where customers could purchase pastries from home. Wendy’s brother also helped to start listing the bakery’s products on a few marketplaces like Qoo10, Shopee and Carousell. “[We saw that we needed to offer more variety online], so our family brainstormed together and came up with new products to create,” she says. After much trial and error, they added durian strudels, durian macarons, chocolate lava cakes, and many more items. Wendy’s time in the air also provided her some valuable exchanges with the people she met, served and worked with. The former stewardess took note of their most common lament: that beautiful and great tasting pastries for events were often exorbitantly priced. 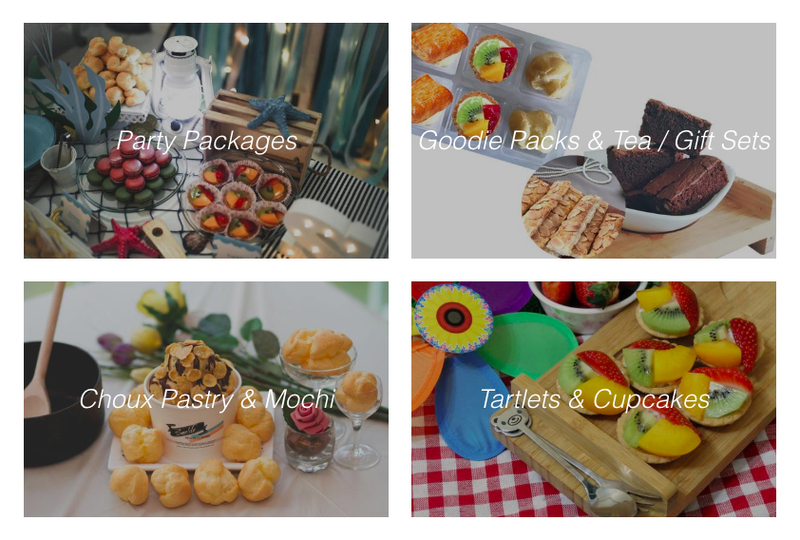 This inspired her to introduce more reasonably-priced pastry bundles and party decoration packages that customers could order online. 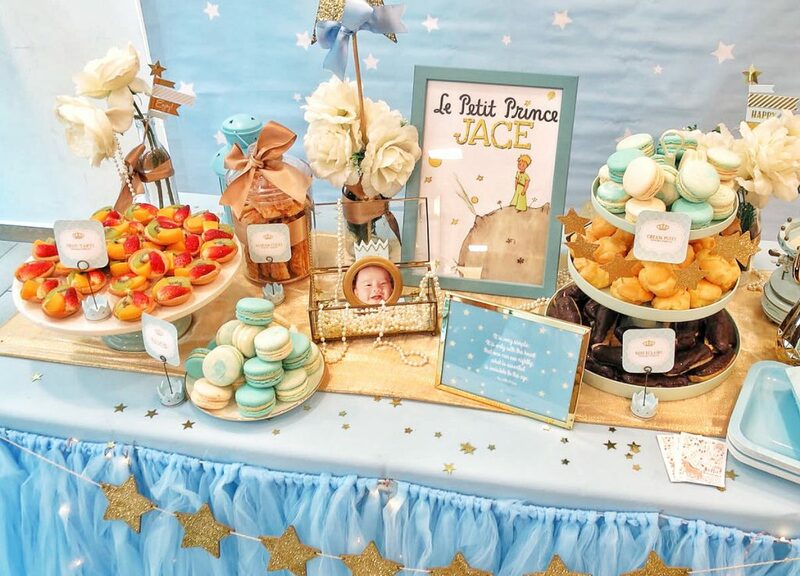 Partnering up with event companies gave Sunlife’s simple and homely looking pastries a whole new look, displayed lavishly with alluring set-ups. Achieving this showed Wendy’s parents a new perspective of what their “plain-looking” pastries could do. Going digital saw many benefits for the small family-run business. From being able to connect with customers, to generating sales leads, Sunlife began to get much more attention than it could with just a stall in the basement of a heartland shopping mall. Having a social media presence created a “huge shift in the way customers perceived the brand”, so that it was no longer seen as just another neighbourhood bakery. It suddenly became cool to have Sunlife Pastries at events, and many of our customers started tagging us in their photos and Instagram stories, and sending us ‘boomerangs’ of them popping durian puffs in their mouths. With additional sales through e-commerce channels, and customers enquiring directly on social media, Wendy says Sunlife was able to gain up to 25% more revenue per month. Each online purchase can make up a sale of $120 to $180 on average, as compared to walk-in purchases that make about $15 or $20 in one receipt. “By going digital and taking in pre-orders, we’re also able to better plan production processes as these pastries are made-to-order. Wastage from excessive ingredients are largely reduced,” Wendy says. 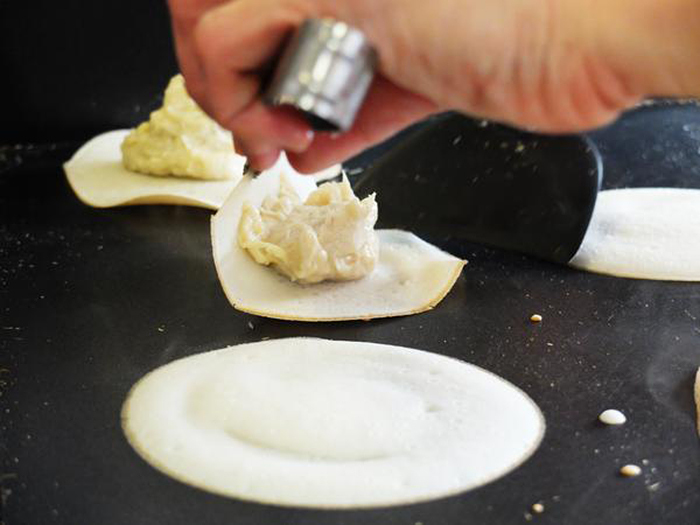 They also disseminated videos to showcase their “pancake live-station” to potential clients who would book the service for their events. Convincing her parents to use digital tools was an uphill battle at the start—new terms like “Facebook Ads”, “Instagram giveaways”, “GrabPay”, and “influencers” were a lot to take in for a traditional business. Wendy had to spend much time trying to explain what she was doing for the brand, and letting her work speak for itself. Sunny and Siu Hui eventually started to open up to her ideas when they saw that they were effective and reaped results. For Wendy, she finds it a growing experience. “You know how they always say, ‘Respect is not given, it is earned’?” she says. Today, Wendy can be found baking at Sunlife’s newly opened second outlet, but her main focus is helping the family business meet its growing demand for beautifully styled, delicious pastries to sweeten up celebrations. Check out what they’re baking here and here!